Since we started Glossier, we've gotten a lot of questions—really good questions—about how Into The Gloss fits into our company now that we make products. Maybe you're new to ITG, maybe you've been following along since way back in 2010. Either way, the relationship between commerce and storytelling is easy to overcomplicate. But what we're trying to do—build the best beauty brand out there—actually isn't complicated at all. So, here's a bit more about our approach, and where you come in. Last October we made the difficult choice to phase out all of our advertising partnerships. We stand by everything we published in collaboration with other brands, but now everything we write is with only you in mind. ITG is about beauty in real life, so expect reviews of all the things we finish, and everything else we're into—plus some new stuff, too. Open conversation about all beauty products (not just the ones we make) helps everyone figure out their own beauty personal style. It also helps us develop Glossier products that we hope you'll love. And when it comes to covering Glossier on ITG, we want to share our journey with you, particularly the product development process. You have a say—build our brand with us. A little internal secret: We don't like to call the part of the site where readers and editors chat(“the comments section.” It sounds so clinical instead of personal. We look at those conversations as a jumping off point for a thousand other stories and ideas. You inspire us, and hopefully you inspire each other—so head there to weigh in on products, ask questions, or share what you use and why—and know that we'll be there to join in. Without you guys, there is no ITG or Glossier. That said, we want to keep the site a positive place—please, if you don't have anything nice to say about someone, don't say anything at all. Hey, we didn't invent it, but we live by it. 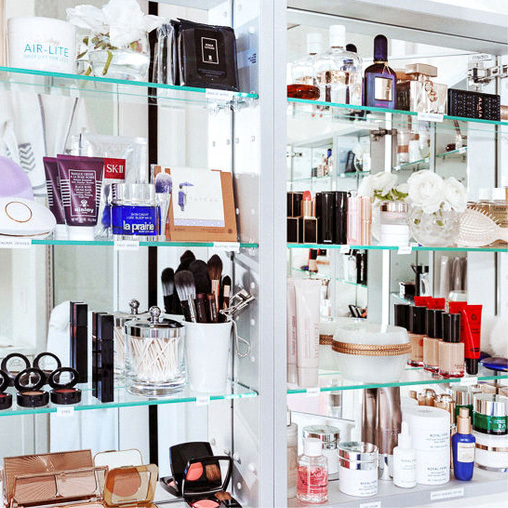 *One question we see from time to time is,(“Do you give out Glossier for free.” Yes. We send out complimentary products to people we cross paths with who are inspiring to us, so they can see if they like our brand. We're excited about Glossier—we made it!—so we want to share it. But nobody, celebrity or otherwise, is required by us to mention Glossier in their interviews. And why would they be? We're all about being real, so it's important to us that the conversation about Glossier on ITG is a genuine one. Of course it's a great feeling to hear positive reviews, but we'll never say no to an interview because Glossier isn't part of someone's routine—or yes just because it is. And that goes for the #ITGTopShelfie series, too. Even more personal than the feedback you all leave on our stories, #ITGTopShelfie is an Instagram-sourced series where you can see the beauty routines of other readers up close and unedited (though filter usage is OK). It all began as an experiment with no grand plans and has become one of our favorite things about the site—it's essentially the reader version of the Top Shelf. 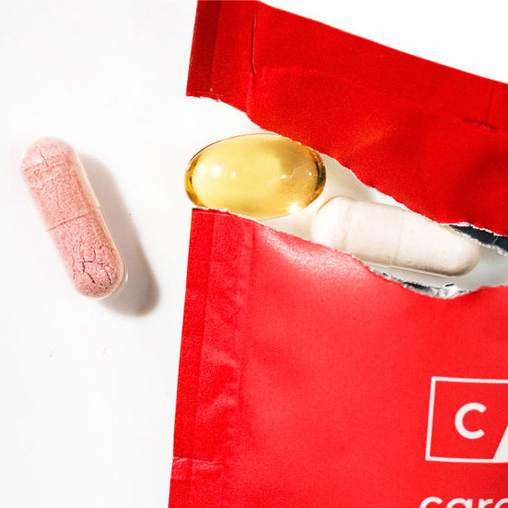 You're welcome to post photos of your own medicine cabinet and favorite products on Instagram using the hashtag for a chance to be featured here on the site. Unsurprisingly, our readers are stacked in the great-routine-but-even-better-photos department. What we're looking for: interesting approaches to beauty that teach us something—the routines and philosophies worth talking about, and photos to match. You've heard a lot from us, and now we want to learn more about you. So submit yours—see you (and your bathroom) soon. Photo via Being Nice Is Cool (1994).